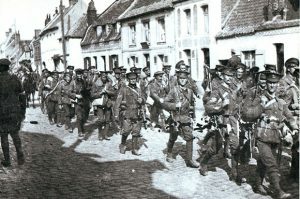 The Battle of Le Cateau was essentially a rear guard action fought by General Smith-Dorrien’s II Corps on 26 August 1914, during the general Allied retreat along the Western Front to the Marne. On the night of 25 August the General Smith-Dorrien’s II Corps consisting of three divisions and a small cavalry corps were pursued near Le Cateau by the German First Army under General von Kluck. Separated from Haig’s I Corps, which was eight miles to the east at Landrecies and finding himself unable to retreat without coming under German attack anyway. Assessing the situation, Smith-Dorrien (pictured right) was convinced that psychologically as well as tactically, a fighting stand was appropriate. 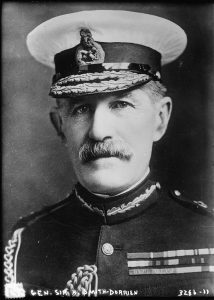 However the BEF’s Commander-in-Chief, Sir John French, had specifically ordered a continued retreat on the evening of 25 August and, despite the relative success of the action, resented Smith-Dorrien’s decision to fight. This would be a grudge French held against Smith-Dorrien until Second Ypres. Fortunately for Smith-Dorrien, only three divisions of the German First Army were available to conduct this fight. Von Kluck and his Eastern Corps were too far from the area to assist and his two western corps was stopped from outflanking the BEF by elements of the French sixth Army under General Maunoury. The battle began the at dawn on 26 August with an artillery barrage across eight miles of essentially open ground held by Smith-Dorrien’s forces. This was probably the last time that artillery would fight over open sites similar to the Napoleonic period. The barrage continued until noon before German infantry began to advance. Fighting predominantly with rifles fired from shallow trenches prepared hastily (a tactic similarly employed with great success at Mons), the British managed to slow the German infantry’s advance to the extent that Smith-Dorrien was able to organise a strategic withdrawal in the late afternoon despite overwhelming odds and in the absence of flank protection. Losses were high on both sides, including 7,812 British casualties. Smith-Dorrien had achieved his objective of delivering a ‘stopping blow’ to the Germans. Not only had they suffered heavy losses, they had been delaying in their planned advance on Paris. 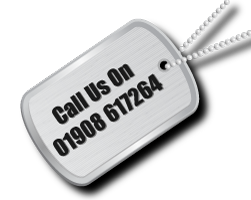 For more details of our WW1 battlefield tours, call us on 01908 617264.